We are pleased to invite you to our March InterNations Linz Event! 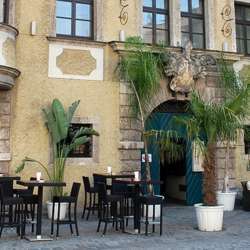 Come mix and mingle with many expats and global minds at Bar Herberstein. Enjoy a few drinks and chat away with your fellow InterNations members! From 19:30 on, you will find us inside the bar, where you can enjoy items from the menu as well as a variety of drinks. Please don’t forget to register for this event by clicking the "Attend" button and feel free to spread the word among your friends, co-workers and other global minds and invite them to sign up for InterNations, too! InterNations is constantly growing and for many guests, this will be their first event. Please be welcoming and introduce them to your friends. Live the spirit of connecting global minds to ensure that every member feels welcome!